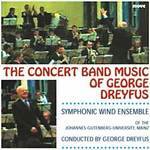 Performance by Jeffrey Crellin, Martin Lee, Meredith Rowe from the CD marvellous world of George Dreyfus. Larino, safe haven : for 2 oboes and cor anglais / George Dreyfus. 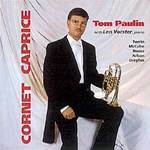 Cornet caprice / Tom Paulin, cornet ; with Len Vorster, piano. Larino, safe haven : for trumpet in B flat and piano / George Dreyfus. Instrumentation: 2 oboes, cor anglais. 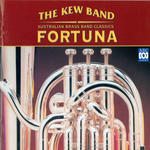 Book: A music education kit for senior students / George Dreyfus. Source: Performed at the 2013 Art Music Awards, Monday 26th August, NIDA Theatre in Sydney. 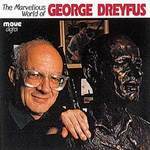 Excerpt from the documentary film by Don Parham about the Australian composer, George Dreyfus - produced for ABC-TV. 17 May 2018: at From Jewish Life (Melbourne Recital Centre, Primrose Potter Salon). Featuring Gidi Ifergan, The New Palm Court Orchestra. 30 Apr 2017: at Elbow Room Concert, Melbourne Composers' League (The Wesley Anne). Featuring Tim Garlick, George Dreyfus. 27 Oct 2013: at Made in Melbourne (Richmond Town Hall). Featuring Roland Yeung, Grainger Wind Symphony.